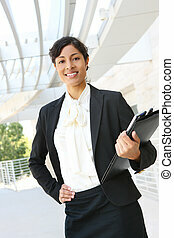 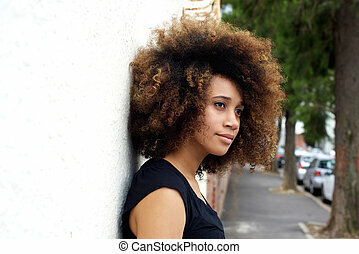 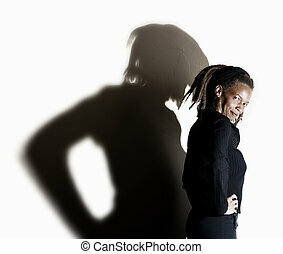 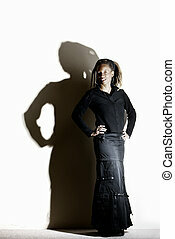 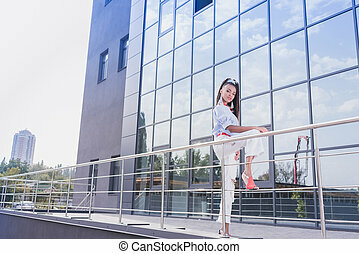 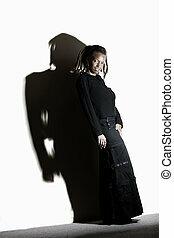 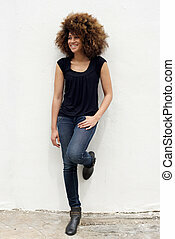 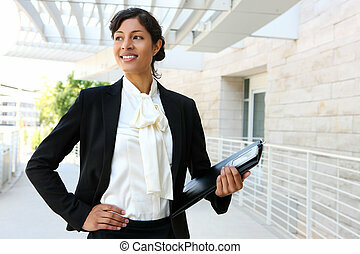 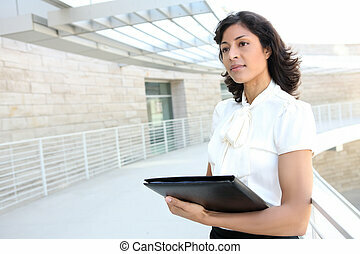 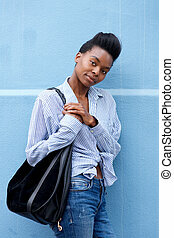 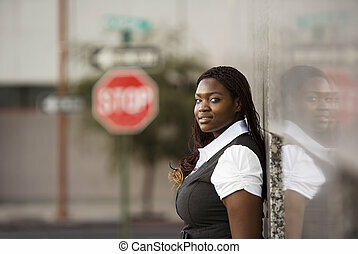 African american woman leaning against a building. 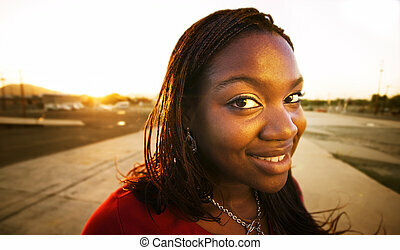 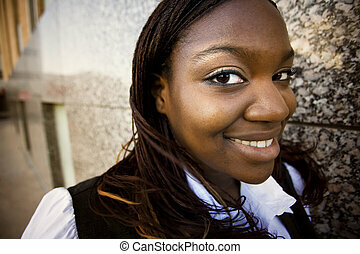 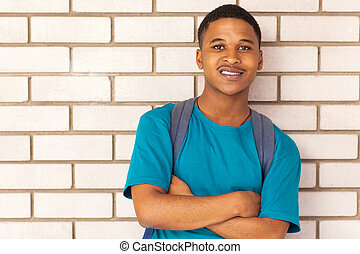 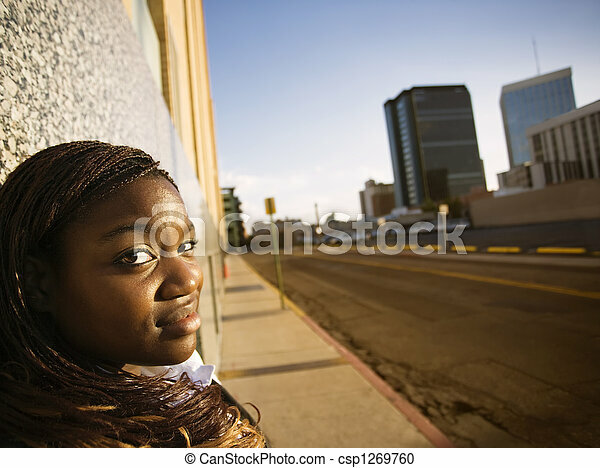 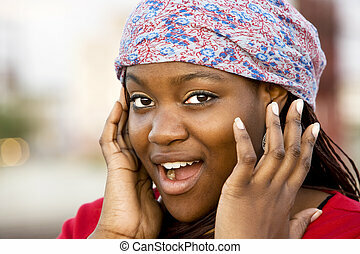 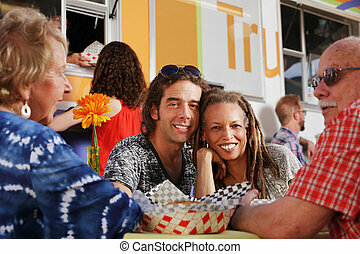 Closeup of a pretty african american woman leaning on a building. 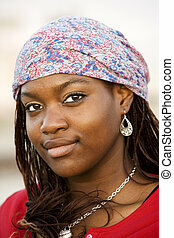 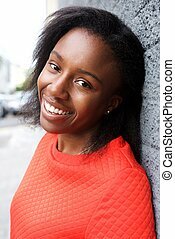 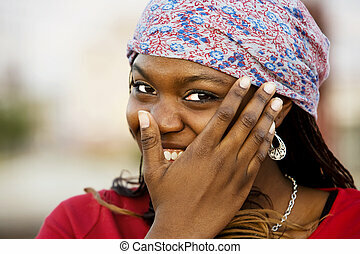 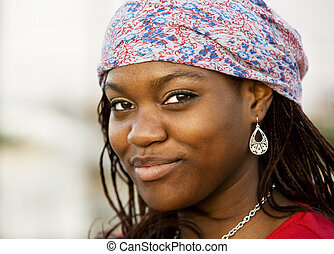 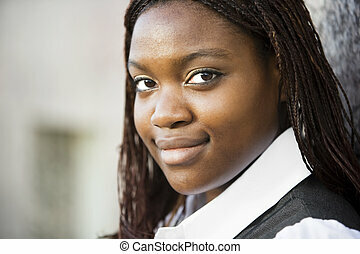 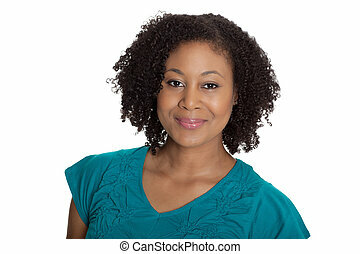 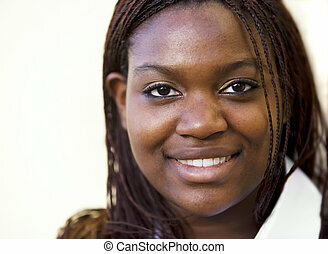 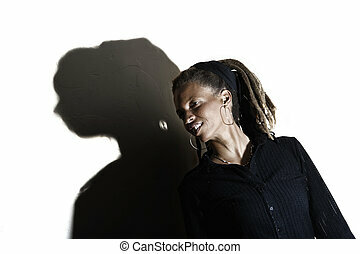 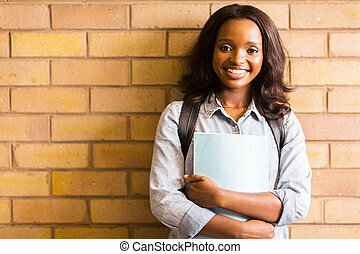 Portrait of young happy african woman leaning against wall.